Notes: All genuine ilootpaperie pins have the "ilootpaperie" back stamp on the back. They are almost always soft enamel. 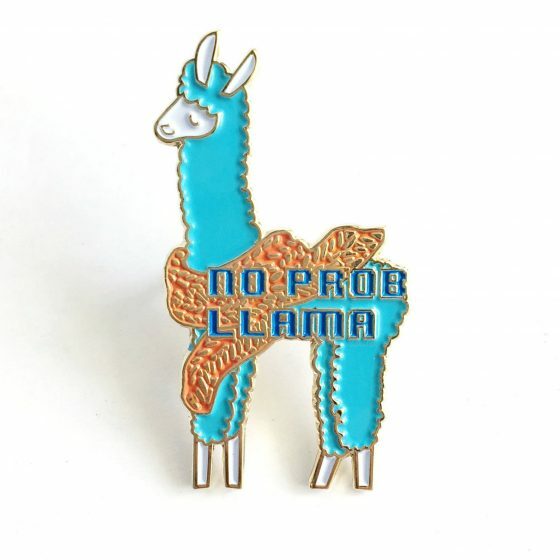 Our No Prob Lllama has brighter colors, in the blue of the llama and the red of the scarf. 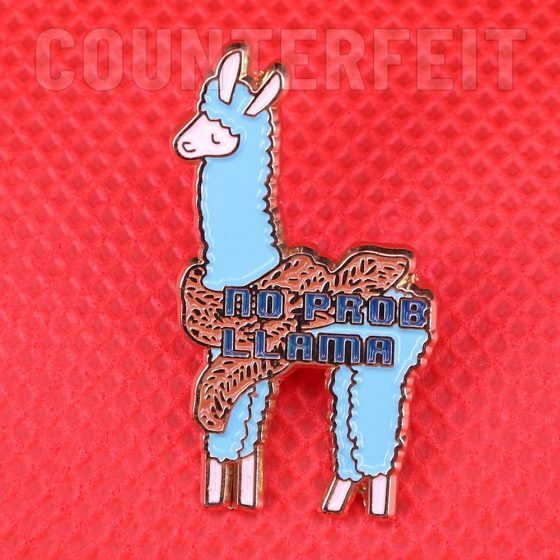 The counterfeit pin is less bright in both the blue and red detailing. All our genuine copyrighted ilootpaperie pins will always come on a branded back stamp "ilootpaperie" or "ILOOTPAPERIE"- the counterfeit pins have a plain back.